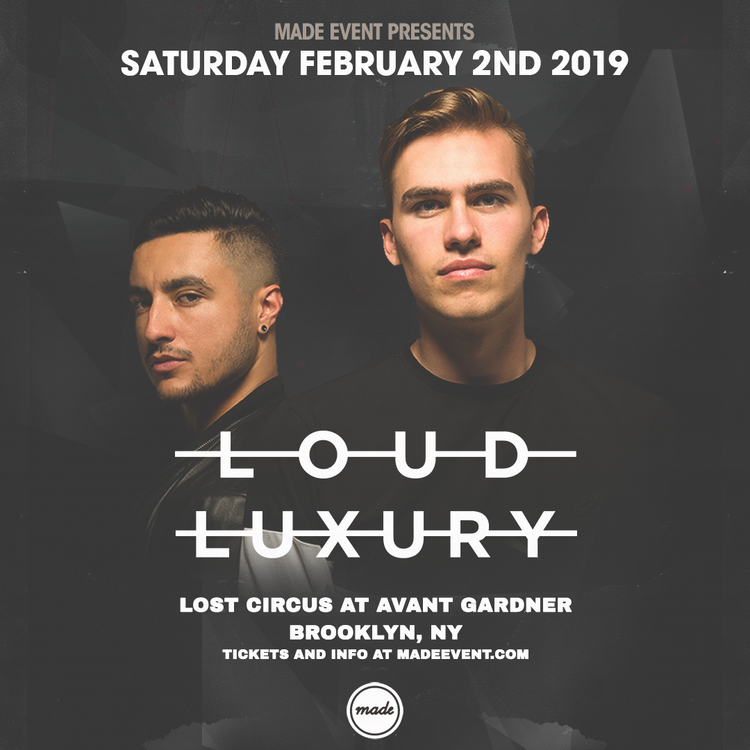 One of the fastest rising acts in dance music Loud Luxury-made up of university friends Andrew Fedyk and Joe Depace– are currently riding at Top 40 radio and the Billboard Hot 100 with their track “Body.” This Saturday, February 2 the duo return to New York for a show at Brooklyn’s Lost Circusat Avant Gardner. In addition to Top 40 radio support from key stations like AMP Los Angeles, Kiss Chicago, B96 Chicago, AMP Boston, AMP Detroit and Sirius HITS 1, the duo’s global smash is now RIAA-certified Gold in the US, has almost 400 million Spotify streams, and recently won for song of the summer at the iHeartRadio MMVAs. Listen to the track here. With just a handful of releases under their belt, the Los Angeles-based, Ontario-native duo has garnered the support of taste makers such as Tiesto, Gorgon City and Dzeko & Torres to name a few in addition to being includedin Billboard Dance‘s monthly Ones to Watch discover series. Touring over 150 shows in 2018 and with their brand new release “Love No More” already entering Today’s Top Hits on Spotify and on the verge of cracking top 10 radio in Canada, the future appears bright for these young artists as they try to conquer the dance music world…one tequila shot at a time.